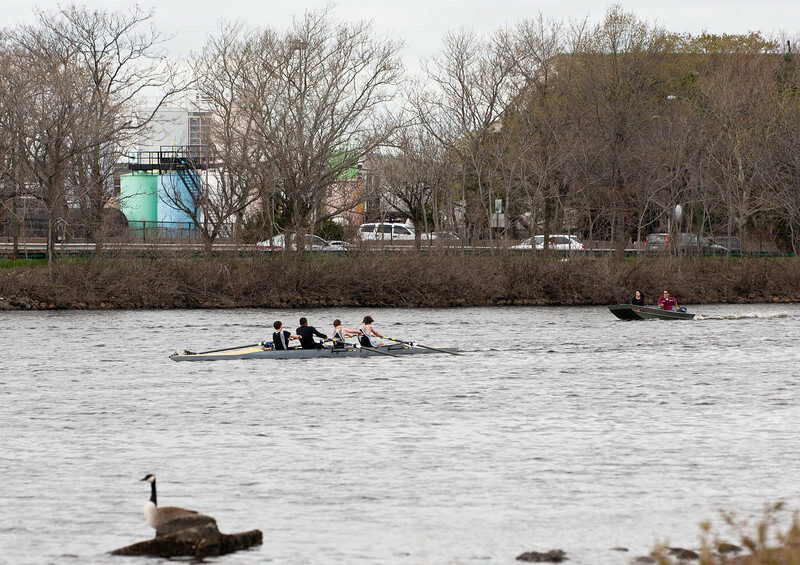 I primarily watched the boys race against Belmont Hill School (BHS) and Community Rowing (CRI), and then caught the girls returning from their "Cupcake Race" against Boston's G-Row. This was a very tough race for the boys. Belmont Hill are the defending Youth National champions, and CRI pulls athletes from many regional schools. In addition, there was a 15-25 MPH headwind, which caused problems for our less-experienced 2nd and 3rd boats. However, the Boys 1st Varsity did extremely well, beating CRI by 17 seconds, and sprinting to come within 5 seconds of BHS. The girls won their races against G-Row, as historically has been the case.